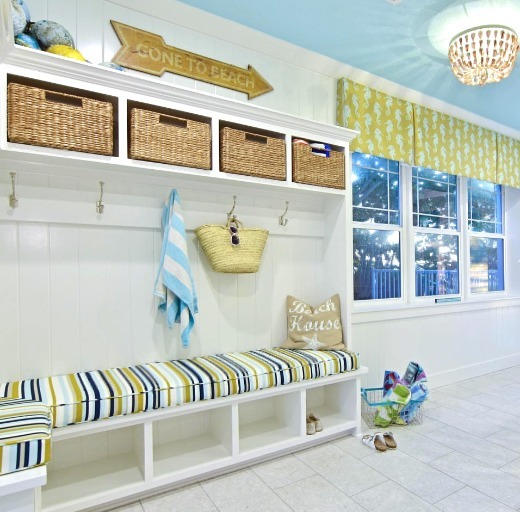 Decorated by Orange Moon Interiors, this beach house is all about sea, sand and sun. 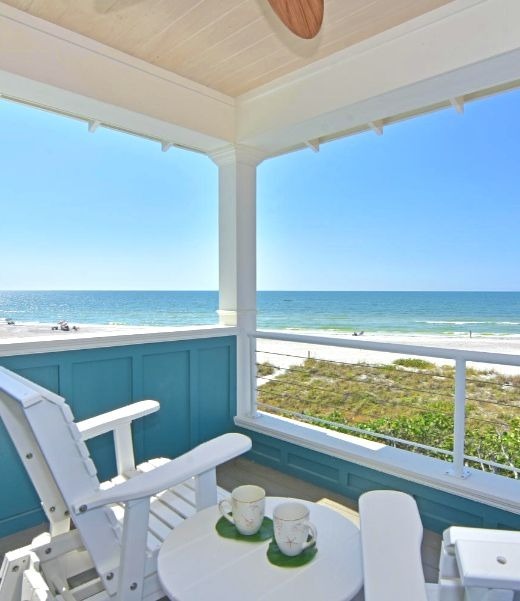 Sunny beachy colors are used throughout this home, Classy Stripes, and a selection of beach cottage decor accessories that will set your mind to beach time. 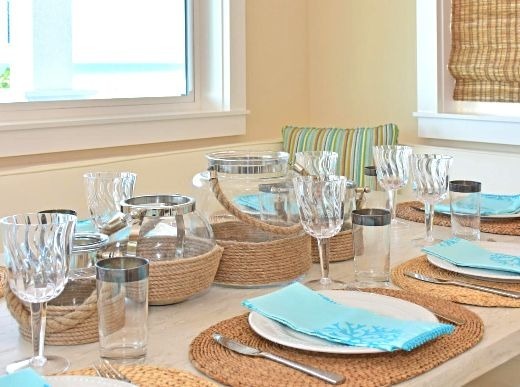 The cheerful sunny beach cottage style decor theme is balanced by large rustic wood furnishings and natural materials (baskets in the entryway, bamboo blinds in the living room, tabletop rope items and more). 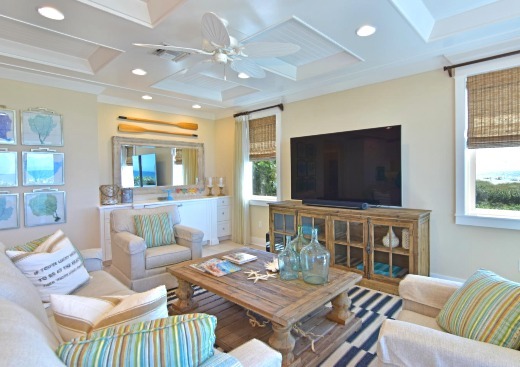 Be inspired, chill, relax & Shop the Look, and follow those very accommodating Beach Rules printed on one of the pillows in the living room! 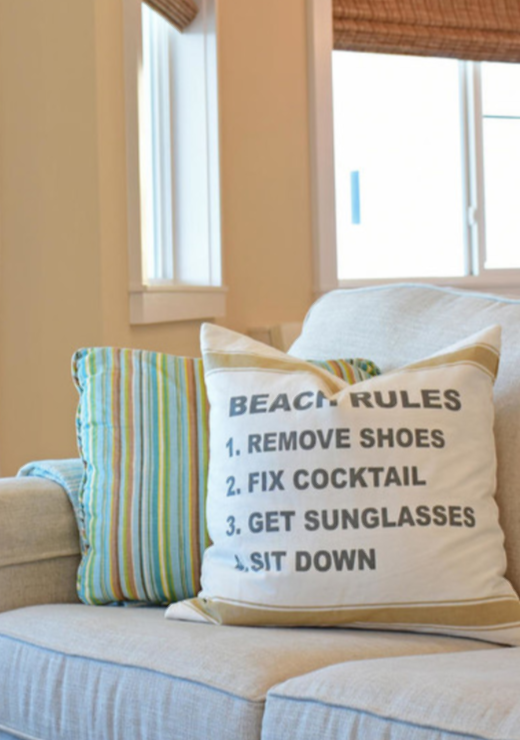 Beach Rules pillow is from Home Goods (not available online). 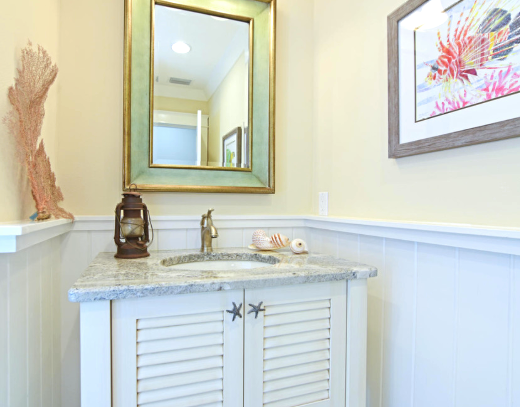 There is much more to see of this beach cottage style home at Orange Moon Interiors and on Houzz!